The evolution of order patterns to few or single line items is putting greater pressure on anyone who needs to pick, pack and ship orders from their distribution center. Even the most challenged companies can easily improve throughput with their manual processes by removing unnecessary travel, handling and paper. Mobile powered pick carts can be very helpful to allow for a simple low tech, low cost batch and cluster picking option. 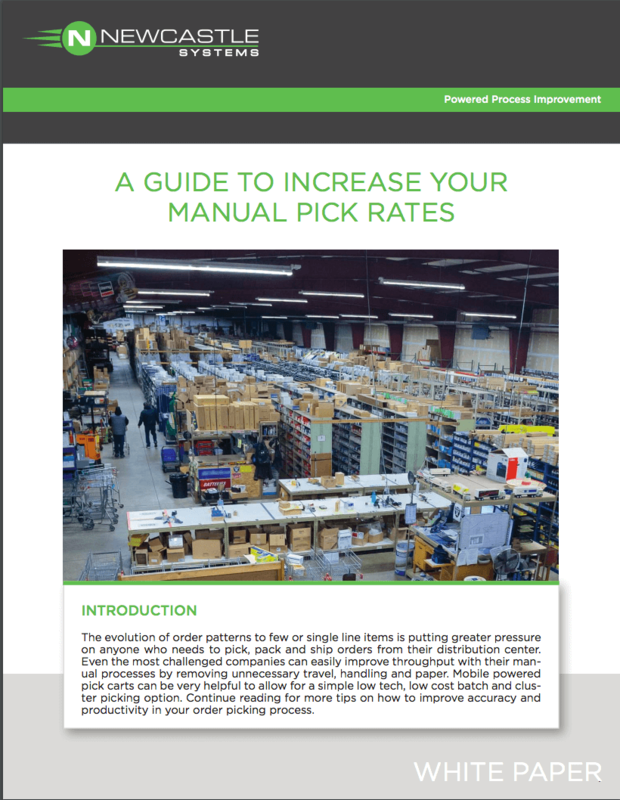 Continue reading for more tips on how to improve accuracy and productivity in your order picking process. With some lower cost ideas and investment, the most challenged companies can easily improve throughput with their manual process. Removing travel, handling and paper are the keys to success.